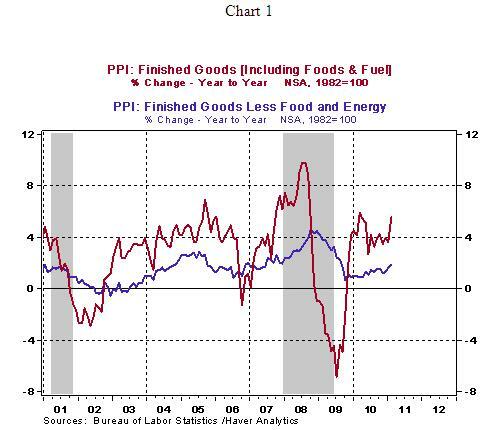 The Producer Price Index (PPI) of Finished Goods rose 1.6% in February following a 0.8% gain in the prior month. 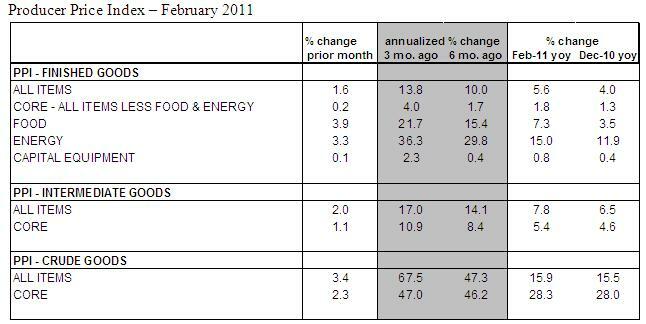 A 3.9% increase in food prices and a 3.3% jump in energy prices explain a large part of the increase in the headline number. Higher prices for natural gas (+3.2%), gasoline (+3.7%) and heating oil (+14.6%) contributed for the noticeably higher energy price index. The February increase of food prices (+3.9%) is the largest since November 1974 (+4.2%). The core PPI, which excludes food and energy, rose 0.2% in February, following gains in the December (+0.2%) and January (+0.5%). The year-to-year increase of the core PPI is 1.9% and it has moved up 3.9% in the last three months. These are not favorable readings. The key is the extent of passthrough to retail prices. 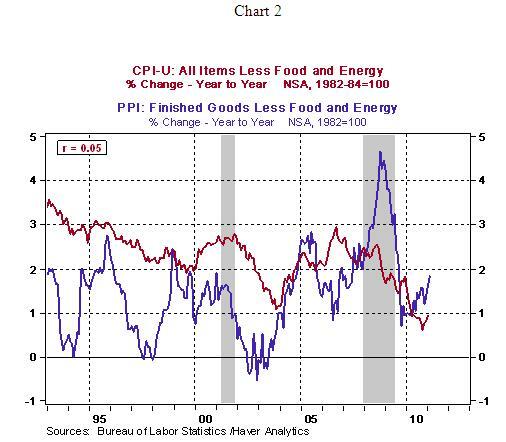 In recent years, the passthrough from core wholesale prices to core consumer prices is weak (see Chart 2). Prior to the mid-1980s, there was a stronger positive relationship with wholesale and retail prices. But the fact remains that higher costs of materials have to be accounted for or firms have to experience a reduction in profits. Margin squeeze cannot prevail for too long and higher wage costs also have to be considered. For the present time, the Fed is in a favorable spot with contained growth of wages and retail prices. 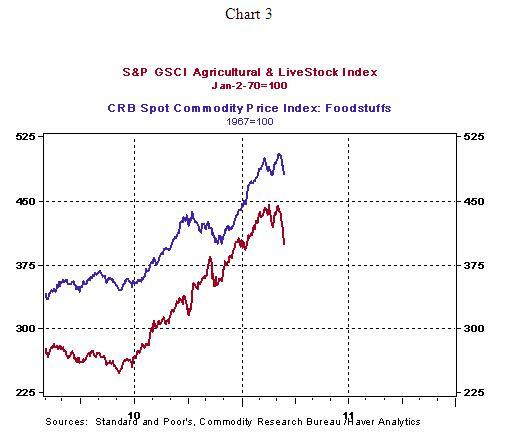 Also, food prices have dropped in recent days, implying that the increase in food prices during March may not be repeated. 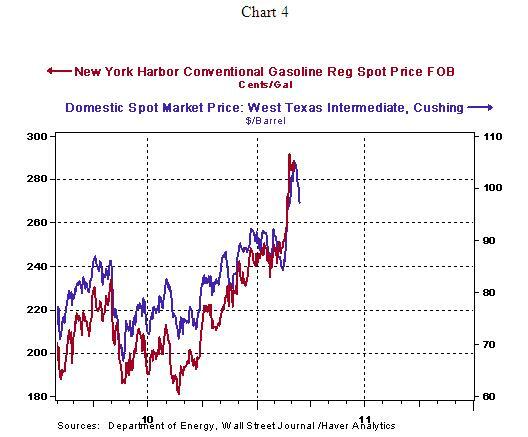 The direction of energy prices remain less certain (see Chart 4).